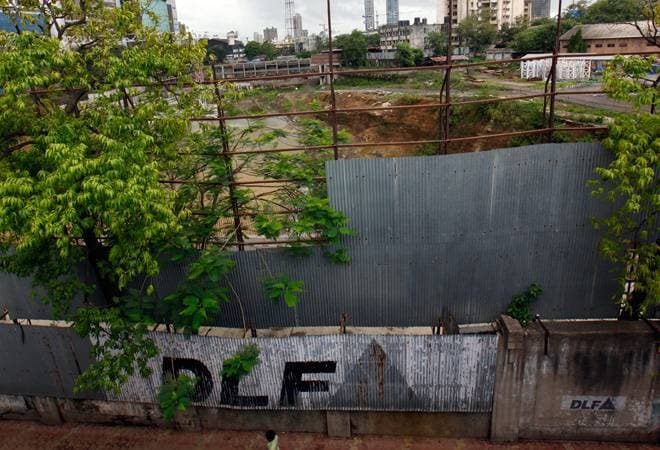 In the early trading session on Wednesday, the shares of DLF Ltd climbed 3.11 per cent to the intraday high of Rs 200.30 on both the trading platforms as the company informed the exchanges about Hines joint venture investment up to Rs 1,900 crore for developing 2.9 million square feet in Udyog Vihar, Gurugram. This would be their second joint venture. In the early trading session on Wednesday, the shares of DLF Ltd climbed 3.11 per cent to the intraday high of Rs 200.30 on both the trading platforms as the company informed the exchanges about Hines joint venture investment up to Rs 1,900 crore for developing 2.9 million square feet in Udyog Vihar, Gurugram. This would be their second joint venture. India's largest real estate company plans to hold 76 per cent stake in the joint venture, with 33 per cent held by Hines -- one of the largest real estate organisation in the world -- with an option to increase its stake to 49 per cent. Hines has invested Rs 500 crore in the joint venture on March 19, the statement filed to the exchanges revealed. The announcement was made after market hours on March 19, following which the stock opened 3.55 points above the previous day's close of Rs 194.25 on the BSE and 2 points up at Rs 196 on the NSE from the previous close of Rs 194. The intraday high stands 12 per cent lower from Rs 226, stock's 52-week high recorded on March 19 last year. At 10:00 am IST, the stock was quoting a value of Rs 199.60 on the Bombay Stock Exchange at a volume of 2.26 lakh shares changing hands. At the NSE, DLF was at 5.35 points high to Rs 199.35 at a trading volume of 34 lakh shares, with more volume around the high price. DLF has a price band of Rs 213.65 - Rs 174.85 for today's trade. DLF shares have been running above the 30,50,150 as well as 200-day simple moving average. Although the share price for the realty major has delivered negative returns over the year to 7.33 per cent, it has gained 21 per cent in the last month and increased 6 per cent in one week in both the exchanges. The project is developed on 11.76 acres of land, the statement added. DLF and Hines entered into their first joint venture in the year 2008 to develop One Horizon Centre at DLF-5 Gurgaon.